Since Delta North APC made it known in a communique issued after an emergency meeting at the country home of the Honourable Minister of State for Petroleum, Dr. Ibe Kachikwu, that Delta North Senatorial District has the right to complete its second term under the banner of the APC, many followers of Chief Great Ogboru have responded fiercely and with a contrary view that zoning, which is seen as an alternate word for power rotation, is unconstitutional in the APC. I had simply ignored this view knowing quite well that Efe Duku was on a mission to ensure APC gives its gubernatorial ticket to his master. However, seeing the recent publication in the Vanguard by the State Chairman of the party, Prophet Jones Erue, that the ‘APC constitution does not recognise zoning, and therefore any suggestion to the contrary should be disregarded’, I am obliged, as a strong advocate of power rotation to join in on the discussion. 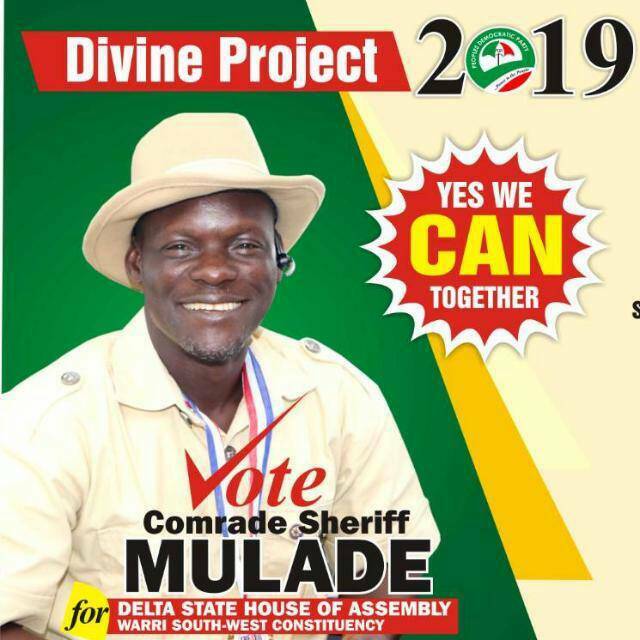 First, propagators of the idea of power rotation, including myself have never insisted that APC must ‘restrict its forthcoming gubernatorial primary contest to aspirants of Delta North origin’, as Efe Duku wants party members to believe. 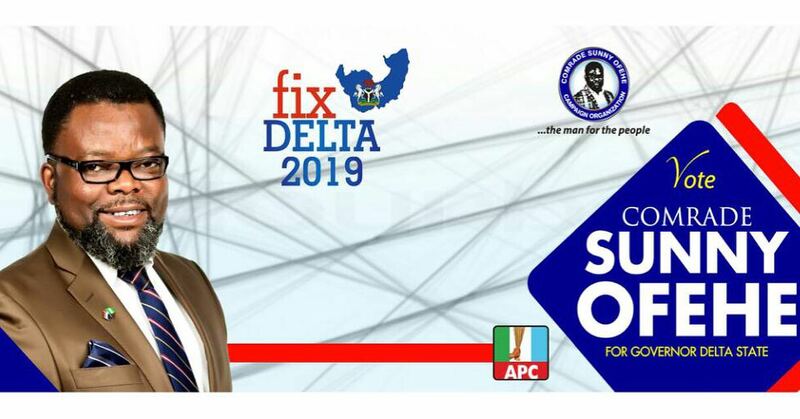 And no one had said that ‘Chief Great Ogboru should not contest the 2019 Governorship election in Delta State.’ Even Delta North APC in their communique did not demand for zoning to exclude contestants from other senatorial districts; rather, they only stated that Delta North has the ‘capacity to win the 2019 gubernatorial election with the support of the other two senatorial districts in Delta State.’ For me, Delta North has better chances to produce a candidate that can win the governorship for APC than any other senatorial district. 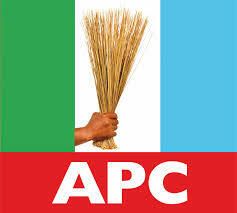 Thus if APC wishes to win and govern Delta State, it will be very beneficial to key into the existing power rotation order in Delta state, similar to what APC did in 2015 when the party succeeded in nominating President Muhammadu Buhari, by deliberately aligning with a power rotation arrangement that was proffered by PDP but ignored by its leaders because it was the ruling party at the time. The desire for equity is natural in power and politics and the founding fathers of the APC in their wisdom recognised the strategic value of power rotation in the process of choosing candidates for elective offices and actually provided for it in the party’s Constitution. The positions which the provision applies to were specifically mentioned in article 20(iii) as Local Government Area Councillors and Chairman, House of Assembly, Federal House of Representative, Senate and President. Zoning is necessary to infuse equity, prevent exclusion of a zone or gender or to eliminate fear of the tyranny of a majority. It is a strict prerogative of the National Executive Committee (NEC) to decide whether zoning would be necessary or not, and so far it has only happened with elections into party offices. I recall that when a replacement was sought for Chief Bisi Akande, the interim National Chairman of APC in June 2014, the position was clearly zoned to South-South and Chief John Odigie-Oyegun emerged as National Chairman after ex-governor of Bayelsa State, Chief Timipre Sylva withdrew from the race and ex-Foreign Affairs Minister, Chief Tom Ikimi from Edo State, who initially insisted on contesting, later stepped down as a result of fierce horse-trading among the contending forces in the party to get a consensus candidate and to avoid elections. It is incontrovertible therefore that APC can zone any office or ticket whenever it has a necessity to do so. The party has not found the need for it because it appreciates that excluding a zone that ought to partake in an election from a particular office(s) may be harmful to its political interests. For this reason zoning has not been implemented to fit elective offices. But this does not mean it is not possible. Indeed, zoning and power rotation in APC is both legal and constitutional. Thus that means APC Delta should zone the governorship ticket to Delta North? My answer is No. It won’t be necessary to zone because as it was in 2015, when President Muhammadu Buhari emerged as the candidate of APC in line with existing power rotation arrangement at the center, a pro power rotation candidate should also emerge from Delta North in the Delta State APC governorship primary as long as the primaries is free and fair. In conclusion, it is important to have it on record that the APC constitution recognizes and upholds the principle of Federal Character, Gender balance, Geo-political spread and Rotation of offices (another word for Zoning). It is a very controlled process that is never applied arbitrarily nor without a cogent reason; and as much as possible it is to ensure balance within a particular constituency.